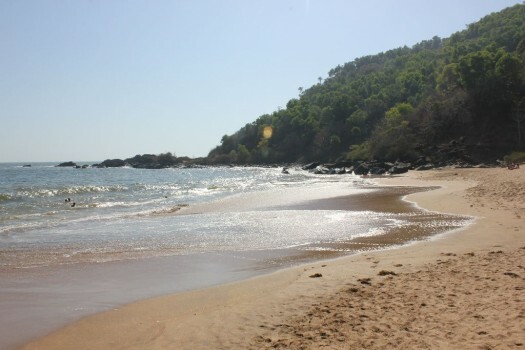 Gokarna is a mini version of Goa, many would say. I would not agree to that yet about this town that lies 100 km south of Goa. 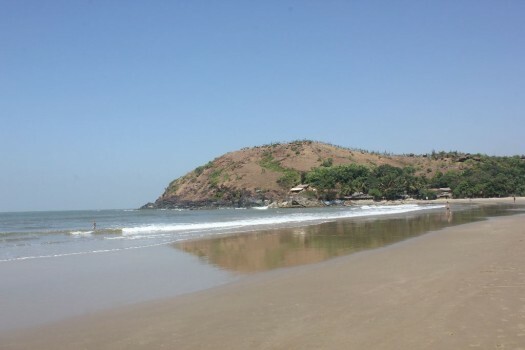 Gokarna meaning “Cow’s ear” is considered holy pilgrimage site owing to the fact that many Hindu mythological events are believed to have occurred here. However the number of western tourists roaming around the town as well as the temple street semi-naked with a cigarette between their lips and a not a care or respect about the local people, culture or traditions makes me cringe. Add to it the indifference of the locals to such antics only encourages such behaviour. 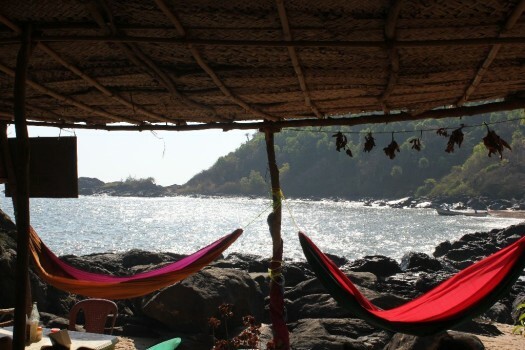 So very soon I may have to agree when people say Gokarna is like Goa. However let me put aside my rant for another post. 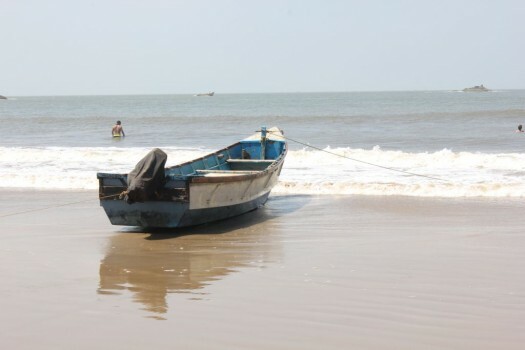 Ever since I arrived at Gokarna I wanted to enquire and see if there is some way to trek across the neighboring beaches. I did not have to wait very long for answers and people were more than happy to help guide me with directions. 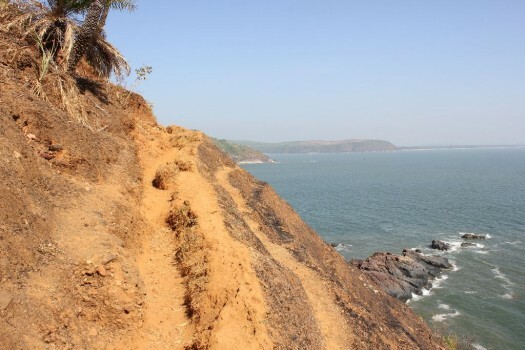 Actually, its not a big deal, you just have to keep walking south starting from the town beach of Gokarna. 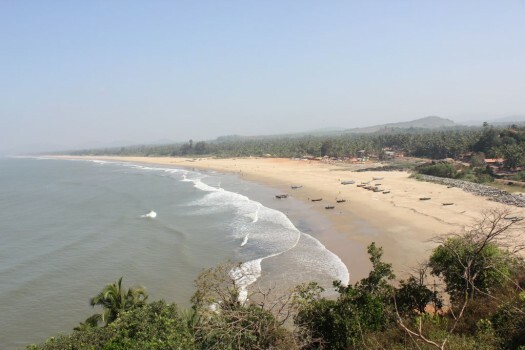 I decided to cover the first five including Gokarna and then head back to my hotel in Gokarna town. So armed with directions to go south and south and further south, I started my trek around 10 one morning. 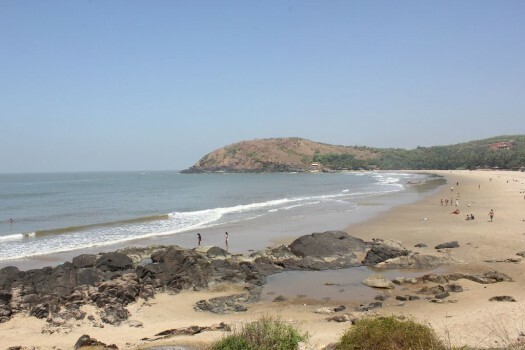 The trek begins on arriving at Gokarna town beach after head towards the shore from Mahabaleshwara temple which is one of the most important temples in this town. Though I had been told the town beach crowded and dirty and nothing great, I found the southern end of the beach to be quite charming in its own ways. Failed to understand why it was less crowded than the northern side but I guess its the lack of shacks on this side which makes it so. A few fisherman were weaving their nets in that hour of the morning while a number of eagles where gliding high in the sky assuming the fisherman to have some catch which may be discarded. Shacks with very basic accomdation and cafes were a plenty on this beach where most of the crowd was western. I wanted to see if there were rooms available for myself to spend my last night here but there were none. However at a few places I also got the feeling that staff was racist and did not want Indian guests. Screw them and their business, I blessed. Also available where boats to take lazy tourists from one beach to another. Not interested! I walked along without stopping for food or drink since I had a pretty late breakfast. Kudle Beach - one last look! 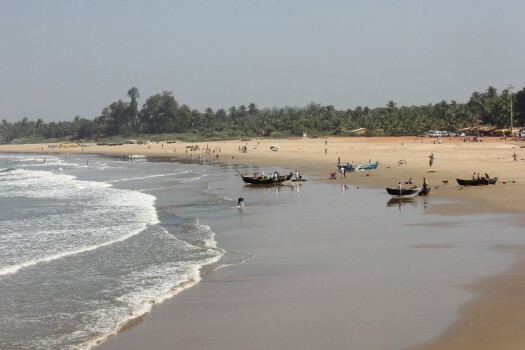 The walk to Om beach was pretty similar to the one from Gokarna to Kudle. Except for the last few hundred meters there is a proper road. Unfortunately my camera battery died at this juncture and I could not capture any pictures of Om beach which has some amazing views from approach from the north. 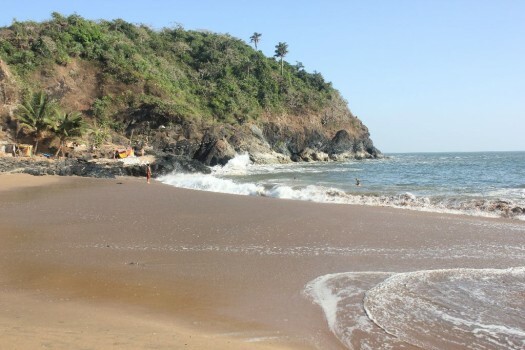 Om beach gets its name from the rock formation in the on the beach which gives the shore a shape of the holy symbol Om. To tell you the truth I find it more like the number 3 rather than Om. With battery dying out and the afternoon sun at its peak it was time for me to take a break. I entered one of the shacks on Om beach and had a relaxing lunch as the staff allowed me to charge my camera battery at the shack. After a break that lasted more than a couple of hours which included a short nap in one of the hammocks within the shack, I resumed my walk once again to head further south to Half moon beach. The views along the hike to Half moon beach are amazing. With the mountain on one side and sea on the other there may be only a few walks that can get better. The best trek in the world! And after about walking with views like the above for close to half an hour, you get Half moon beach. Although it was Om beach where most of the early hippies came in during the 80s now you find more of them in Half moon beach and Paradise beach. The shore not more than couple of hundred meters long is interspersed with number of rocks. Also I notice only two beach shacks here and I sat in the one that offered better views and had a lesser crowd. The shack with a view! During the adventure in and out of Paradise beach, most of the time I kept my camera secured in the back pack to keep it safe from the dust, bushes and dirt so I do not have many pcitures from there. But let me tell you that the pictures will do a great injustice to the place. And thus ended my first ever beach trek of my life. And I cant wait to do some more like this again in journey across India. So until next time Adios Amigos!